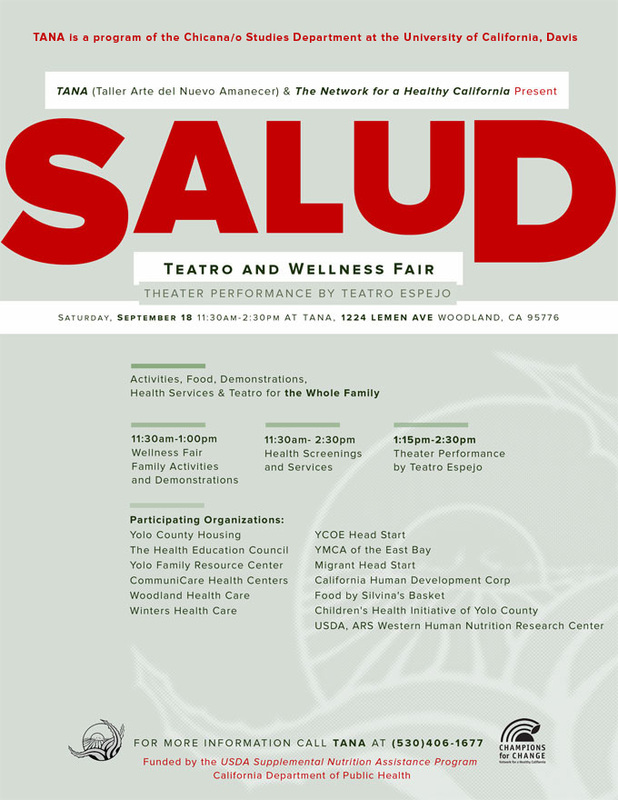 Salud: Teatro and Wellness Fair. 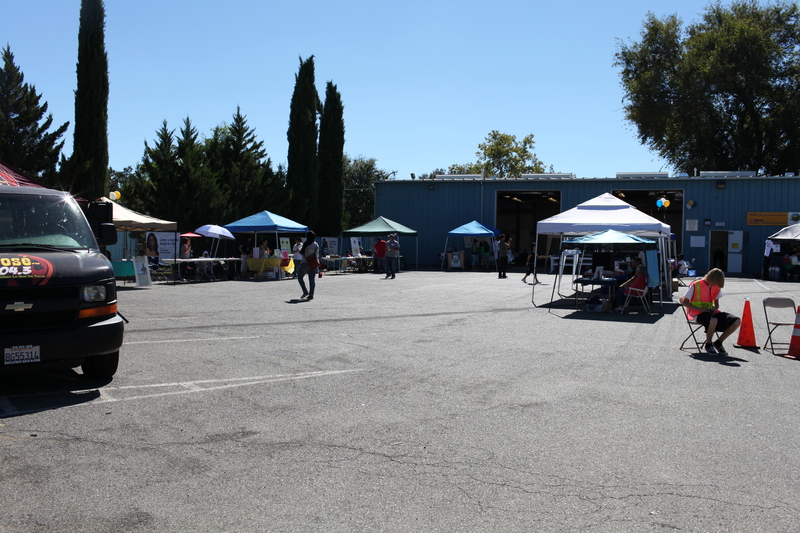 This event featured a wellness fair and community Teatro performance promoting community health and took place on Saturday, September 18th from 11:30am-2:30pm (address: 1224 Lemen Ave., Woodland, 95776). 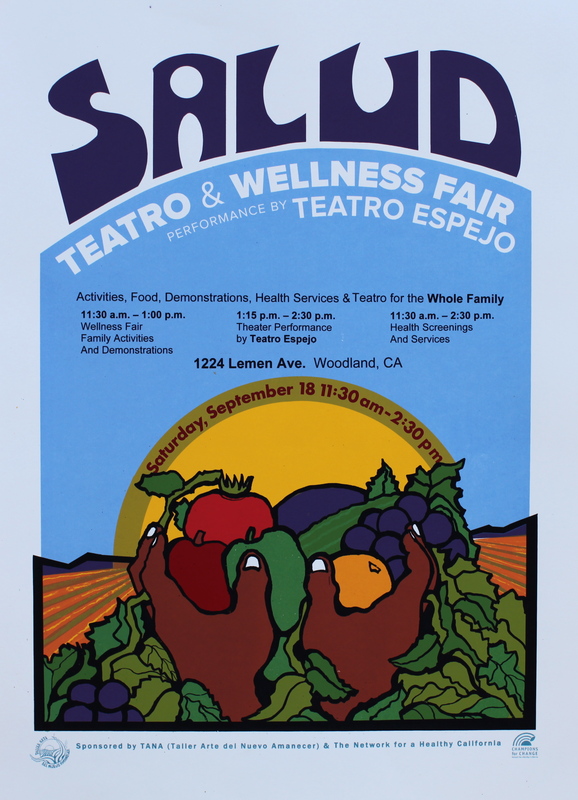 SALUD featured a wellness fair with nutritional demonstrations, family activities and health screenings from 11:30am-2:30pm with a community theater performance at 1:15pm by Teatro Espejo. Approximately 150 community members attended this event. 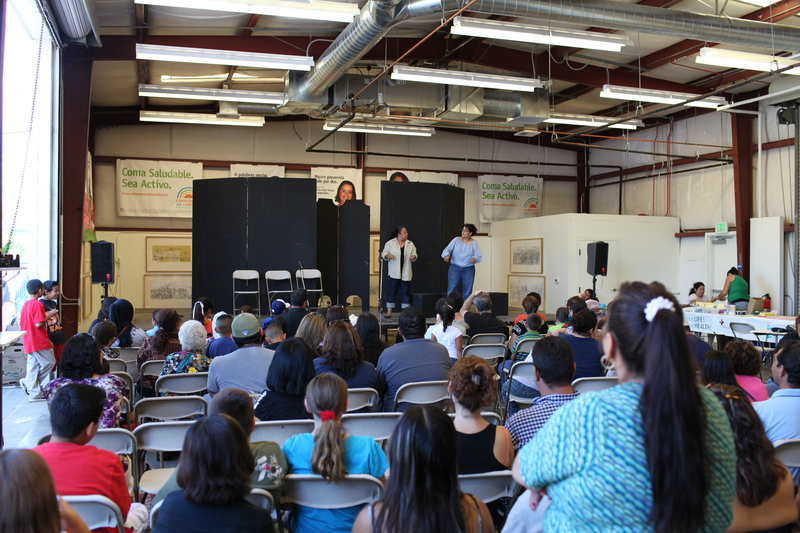 SALUD is part of a series of community theater performances produced by TANA in conjunction with the Network for a Healthy California, the California Department of Public Health, and the Public Health Institute. Throughout the 2011 year TANA will be producing versions of this program with Teatro Espejo and El Teatro Campesino in Salias, Dixon, and Woodland. See our blog for information about future events.